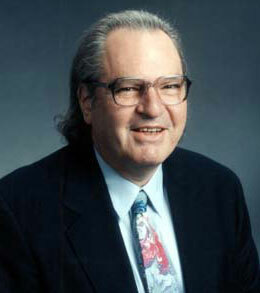 In 1971 the Ph.D. in Physics Murray Turoff (born in San Francisco, February 13, 1936), while working in the U.S. Office of Emergency Preparedness (a federally coordinated system that augments the Nation's medical response capability), designed the Emergency Management Information Systems And Reference Index (EMISARI), which appears to be the first multi-machine chat system. The original purpose of the system was to help exchange information on opinion surveys between networking experts and academics in geographically distributed locations, that could help the government respond to emergencies. This system and others Turoff designed (RIMS, IRIS, PREMIS) were used for a decade and a half by the U. S. Government for crisis management monitoring of most economic disruptions (e.g., coal strikes, transportation strikes) and commodity shortages (e.g., oil, gas, fertilizer). That system also provided the first example of instant messaging in an operational environment. In 1971, EMISARI was put to one of it's first practical uses to coordinate policy information for U.S. President Nixon's wage and price control program to fight high inflation. Users of EMISARI logged in to the system through teletypewriter terminals linked to a central computer, using long-distance phone lines. EMISARI was written under EXEC VIII on a UNIVAC computer which had newly developed multiprocessing capabilities, making possible the new, interactive functionality that Turoff designed. As with current online chat rooms, the system showed a list of participants and gave alerts when someone joined or left the chat. As many as 300 experts were set up to coordinate how the country would respond. EMISARI continued to be used by the US Government for management of emergency situations until 1986. EMISARI had more features than many conferencing systems developed thirty years later, including real-time voting, data collection assignment and reporting, and discussion threads for individual database elements.